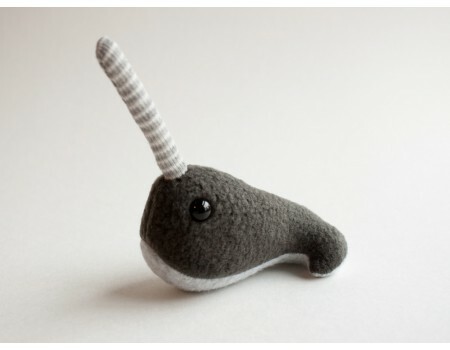 Meet the tiniest narwhal in the whole world. He's perfectly pocket sized and ready for an adventure! 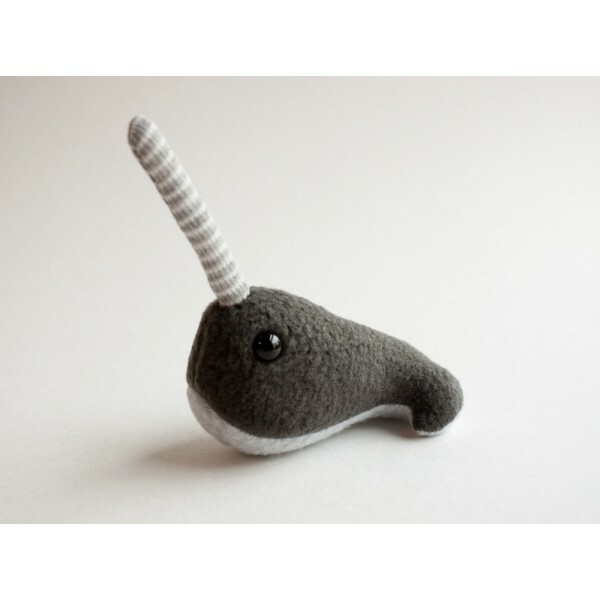 This tiny plush narwhal is handmade from soft gray fleeces and has a striped gray tusk. 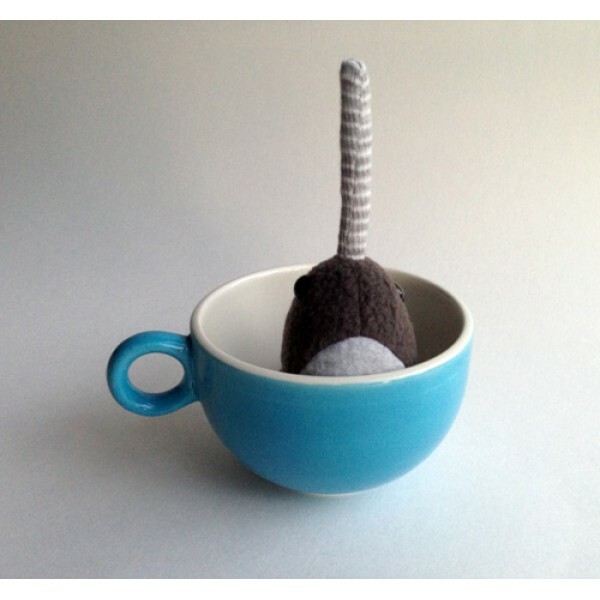 The tusk is soft - nothing pokey inside - so he's great for cuddling. When I say tiny, I mean super tiny! He's a little over 3" from tail to nose, and the tusk is about 2" long. Please note: this is not intended as a toy for small children as eyes (although "safety" eyes) may present a choking hazard.